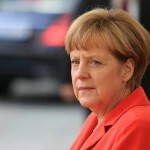 This is the Result of the CSW in New York at the UN Headquarters: an open letter to Angela Merkel signed by 98 NGOs! 2015 marks the 20th anniversary of the Fourth World Conference on Women in Beijing in September 1995. In connection with the United Nations Commission on the Status on Women and the commemoration of the Beijing Platform for Action, hundreds of organisations working for the promotion and protection of equality for women are in New York to assess and discuss the progress made for women and girls’ rights in the past 20 years. Among the challenges to equality for women are many forms of discrimination against women, their poverty and their sexual exploitation which underpins their lack of status and opportunities worldwide.